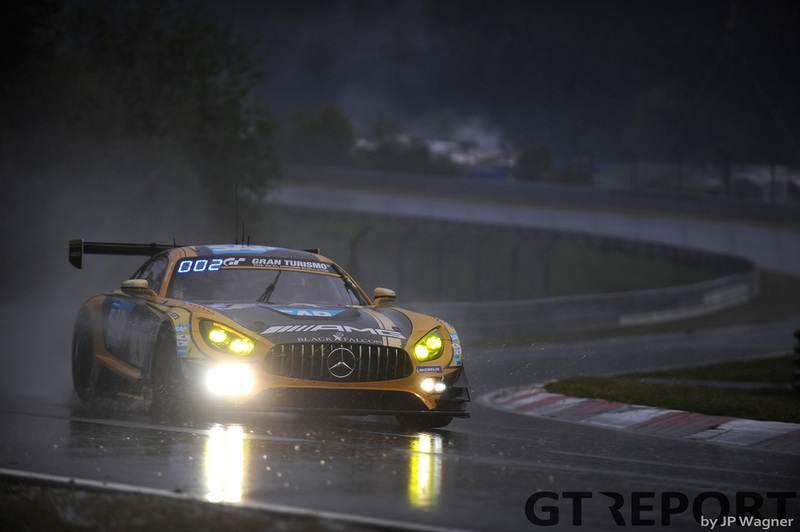 Adam Christodoulou has hardly had any time to think about his defeat in the 24 Hours of the Nürburgring one week ago. The Mercedes-AMG works driver left for home in Lichfield on Monday and got on the plane to the USA the next morning to test with P1 Motorsports. 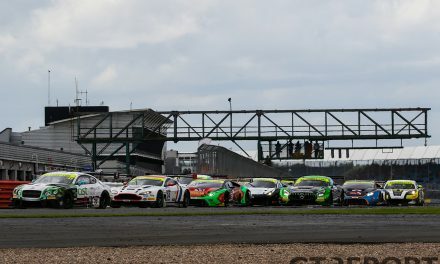 From there, he flew back to the UK for the Blancpain GT Series at Silverstone, where we caught back up with him to talk about that lost win in the biggest race of the year. 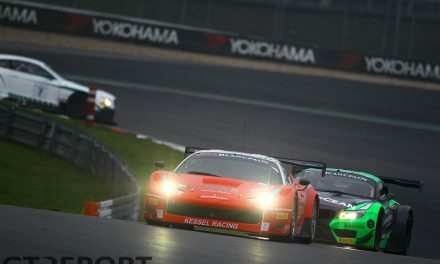 After racing full seasons in Blancpain GT and British GT, Christodoulou turned into the 2018 season without a full-season ride, instead opting for one-offs and picking the races with the most appeal to him. 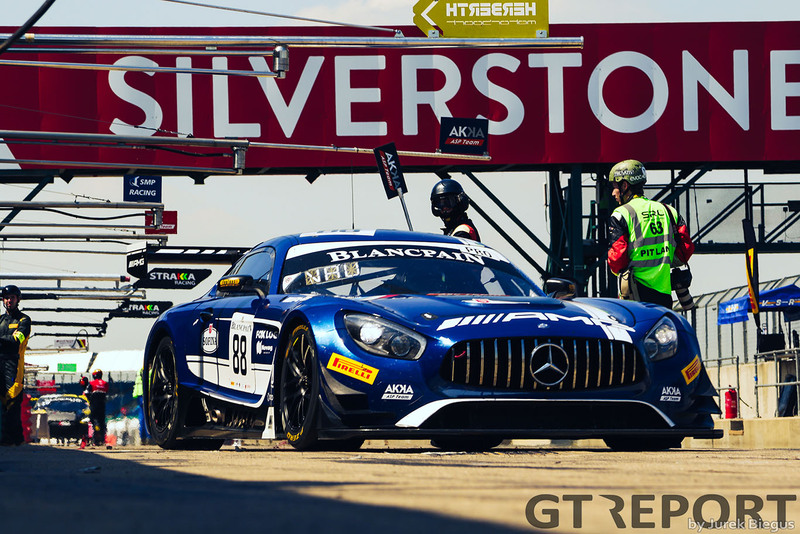 This weekend finds him in Silverstone, where he’s substituting for fellow AMG pilot Dani Juncadella at surging French squad AKKA ASP, sharing the blue Mercedes-AMG GT3 with Tristian Vautier and Raffaele Marciello. 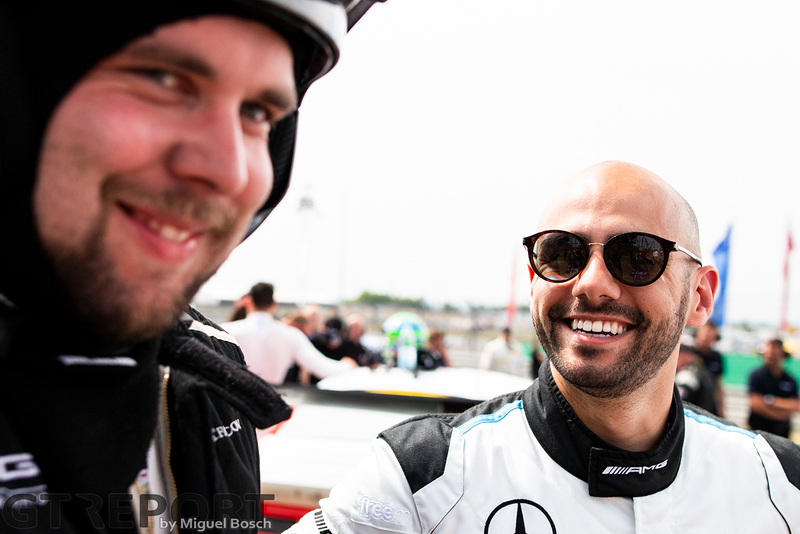 “This is my first weekend working with Mercedes-AMG Team AKKA ASP and it’s been fun”, Adam Christodoulou says on the morning of his home race in the Blancpain GT Series. And race he did last week at the Nürburgring. 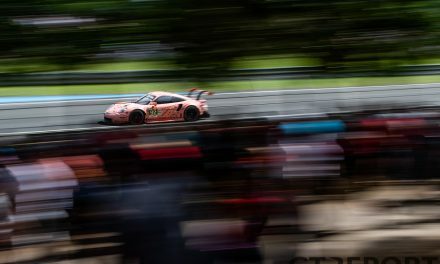 Catching the number 912 Manthey Racing Porsche 991 GT3R in the early morning hours set the stage for a finale that left the fans who had weathered the storm watching in awe of the battle unfolding in front of their eyes. 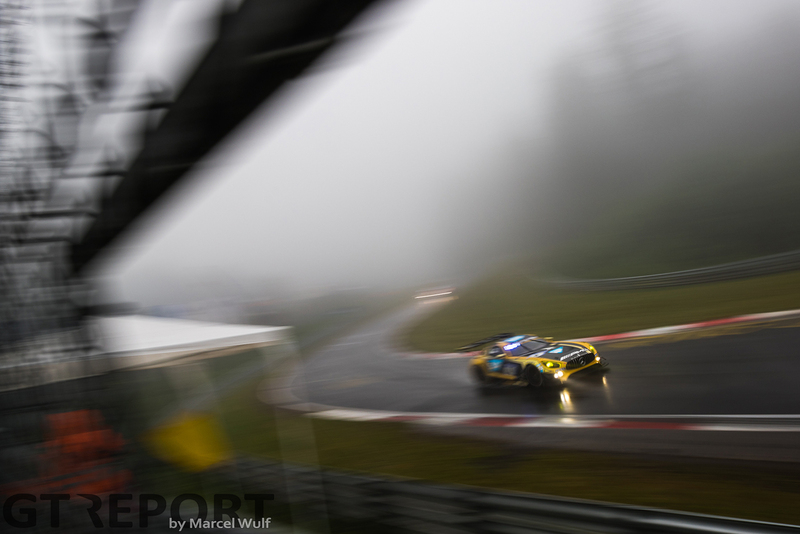 Shortly after midday a passing cloud covered the Nürburgring in a thick fog. With visibility gone, the race was temporarily stopped. 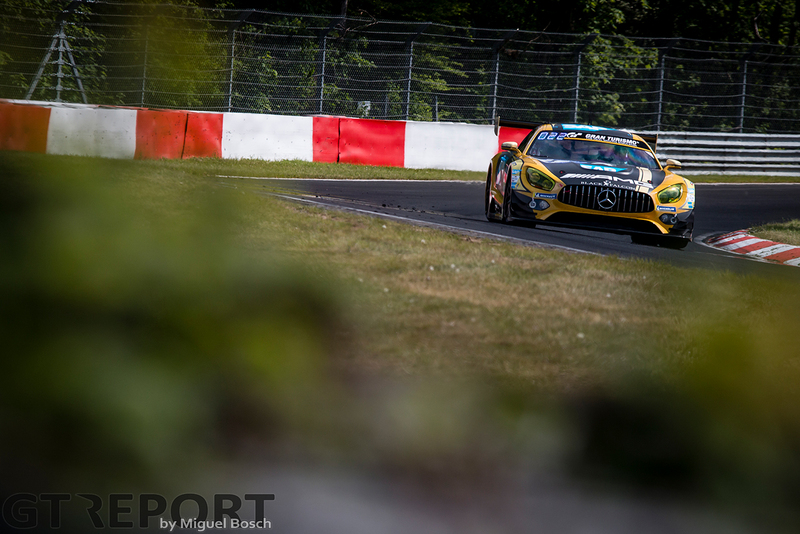 When the call to race on went out, Christodoulou and team-mates Dirk Müller and Manuel Metzger had to decide amongst themselves who would take over the Black Falcon Mercedes-AMG GT3 from Maro Engel. “Jean-Paul Breslin, the team-manager, asked who wanted to do the re-start. Maro had just come back into the pits, and Dirk, Manuel and myself looked at each other and thought, ‘wow, that’s a lot of pressure’. With Black Falcon’s lead of minutes wiped off, the 2016 winners went into the remaining hour and a half. “I was just watching the safety car,” Christodoulou continues. “I had the clearest view of it and even he was aquaplaning all over the place. The chase lasted for several laps until Fred Makowiecki made the race-winning move into the first turn. “They just seemed to have better traction. I don’t know whether if it’s only because the Porsche is a rear-engine car, but they just seemed to have the edge there. We were better at high-speed and they were better at traction. Christodoulou, never one to give up easily, pushed on. “I managed to get it back going and then the chase was on—the pressure changed. I could see him cracking a little bit, making a few mistakes, and I was able to close the gap. “Then I went off at Galgenkopf. Somehow, I bounced off the guardrail Playstation-style and continued. “It was just one of those things: as soon as you start to aquaplane you’re a passenger. I was pushing as hard as I could, but as the race went on it just got more and more dangerous. Maybe if I could keep the pressure on then I could force him into an error, but he kept his cool. “At that point I was even able to catch up, but then the heavens opened up even more and I just couldn’t do anything. They had better traction, I could see him driving away. 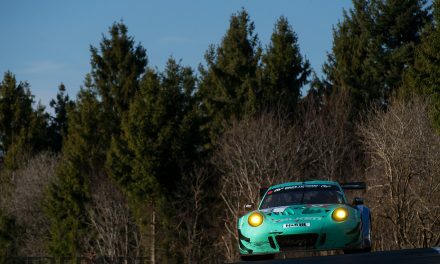 Even if he came close to becoming the first two-time British winner of the Nürburgring 24 Hours, Christodoulou recons Manthey Racing was always going to be a tough competitor to beat. “As it started to rain more and more I began to realise we weren’t going to win. At the start of the race on Saturday, the Porsches in the dry disappeared. But this is the ‘24’ and you can never give up, you’ve always got to push and we got ourselves in a really strong position, fighting for the podium. If the Porsche wouldn’t have had that penalty, we wouldn’t have been there at that point anyway, they would’ve been on the correct strategy. In the end the quicker car won. “It’s just how it all fell. It was an exciting race—scary at times with the conditions. 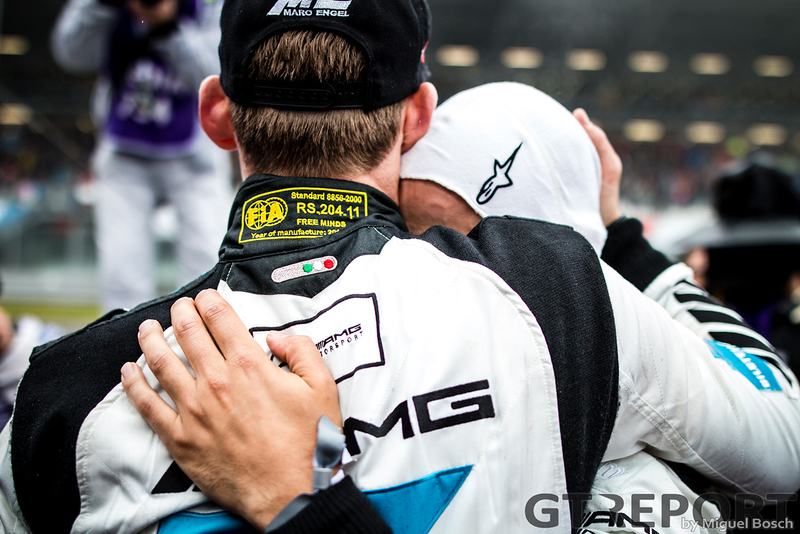 “It’s one with mixed emotions—it always is at the Nürburgring. Your chances of winning or scoring a podium can change so fast. We’ve seen it in the last few years: it’s always a massive fight and it’s getting closer and closer every year. Jurek Biegus contributed to this report.